DMC Injection Moulding is use in the production of all kinds of plastic parts, house hold items, electrical parts, telecommunication items, automobile parts and more. 2. 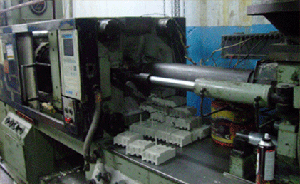 Manufacturing of all Types of MOULDS Moulds and Dyes. 3. 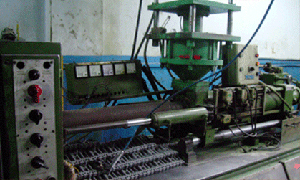 Manufacturing of Jig and Fixtures and Special Purpose Machine. 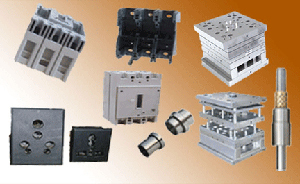 Hindustan Enterprises Company was incorporated in the year 1999 at Noida (an industrial township near national capital New Delhi) as a small scale enterprise primarily to manufacture Precision Moulding Components. 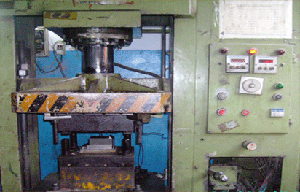 From 1999, Hindustan Enterprises set out to be a reliable custom molder of quality plastic moulding products. With this philosophy still in place today, we have been able to expand our facility, reach more customers and continuously improve our processes to provide the best quality manufactured plastic parts available today. As one of our major customers put it, It's the 'can do' attitude that makes dealing with Hindustan Enterprises a pleasure. Today, Hindustan Enterprises is a leader in the Plastic Moulding process. Hindustan Enterprises has a successful track record of molding custom plastic parts for individuals with big ideas and companies looking for easier, cost efficient alternatives to manufacture their products. The company toady is reasonably established enterprise employing over 17 professionals in Procurement, Workshop Technology / Manufacturing, Quality Control discipline. The company is ably assisted by adequately equipped TOOL ROOM, general purpose workshop machines / Inspection Measuring Instruments / In House We have positioned ourselves to not only service the industry giants, but also to develop new products for the small, budding entrepreneur. By using both prototype and production tooling, we have successfully satisfied a multitude of customers. Products include Electrical Electronics, industrial components and environmental products. Hindustan Enterprises’s unique blend of excellence, innovation and expertise, strengthened by commitment to continuous improvement provides a sound base for future growth and development.